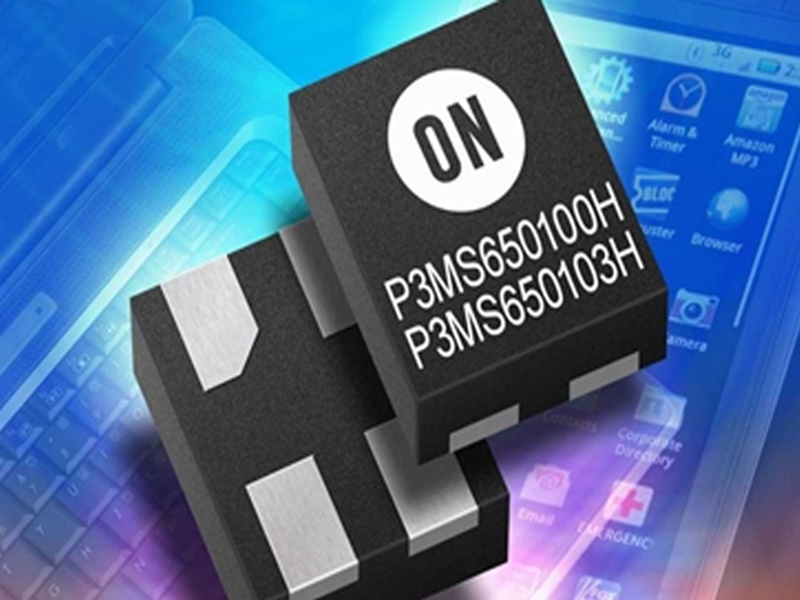 ON Semiconductor has introduced a new series of active spread spectrum clock generator integrated circuits (ICs) that manage EMI and RFI at the clock source, delivering system-wide EMI reduction of all clock dependent signals. The P3P8203A LVCMOS peak EMI reduction clock generator targets applications such as graphics cards, computing and consumer applications. This device supports an input voltage of 3.3 V, a frequency range of 18 MHz to 36 MHz, and analog control of spread spectrum deviation by means of an external resistor. By choosing a different value of the external resistor to provide the desired amount of spread spectrum deviation at the output, system designers now have the added flexibility to customize their applications to achieve the desired EMI reduction. The P3P8203A is housed in an 8-pin, 2 mm x 2mm x 0.8 mm WDFN package, making it suitable for use in PCB space constrained applications. The P3MS650100H and P3MS650103H LVCMOS peak EMI reduction clock generators for use in PCB space constrained applications support input voltages ranging from 1.8 V to 3.3 V, typical spread spectrum deviations of 0.45 percent to 1.4 percent, and reduction of EMI/RFI in clock sources with a frequency range of 15 MHz)to 60 MHz.